Paternity, Siblingship, Immigration, and Ancestry testing under rigorous custody and control protocols give you court admissible results. API Global and it’s Laboratory Partner can provide the certainty you need when parentage is in question. We provide accurate, confidential, and prompt testing services tailored to fit your individual needs. Samples are collected with the simple swabbing of the inner cheek! The first thing you need to determine is if you need a non-legally binding result or a legally binding result. A non-legal DNA paternity test would be just for your curiosity and would not be able to be used for any legal matter. A legal DNA paternity test result would be if you need the information for child custody, child support, a name change, court, etc. 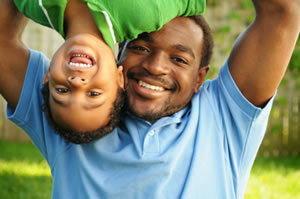 The two parties that are required for testing are the alleged father and the child. The mother is not required to be tested. We can include the mother to be tested if you choose so. The results will be either 0% or 99.9+%. Are you Full or Half Siblings? Are you Half Siblings or Unrelated? The first thing you need to determine is if you need a non-legally binding result or a legally binding result. A non-legal DNA siblingship test would be just for your curiosity and would not be able to be used for any legal matter. A legal DNA siblingship test result would be if you need the information for estate planning, court, etc. The two parties that are required for testing are the two potential siblings. The mother(s) are not required to be tested. We can include the mother(s) to be tested if you choose so. The results will be defined as a likelihood percentage. Our lab will continue to test additional genetic markers until a definitive result is achieved. Avuncular (uncle or aunt), Grandparentage, Twin Zygosity analysis also available. API Global partners with AABB Accredited laboratories.